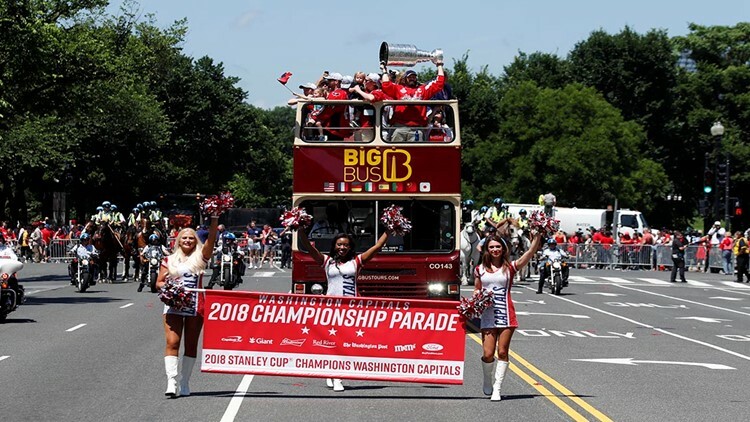 Washington Capitals forward Jakub Vrana stood over the team bus in the parade and sprayed beer into the crowd and then proceeded to drink the rest as the crowd cheered on. WASHINGTON (WUSA9)--As crowds gathered for the first Capitals Stanley Cup Victory Parade I'm sure they didn't think they would be taking another shower. These players are truly enjoying every moment of this once in a lifetime experience as they should be. They are the 2018 Stanley Cup Champions, and no one can take that away.